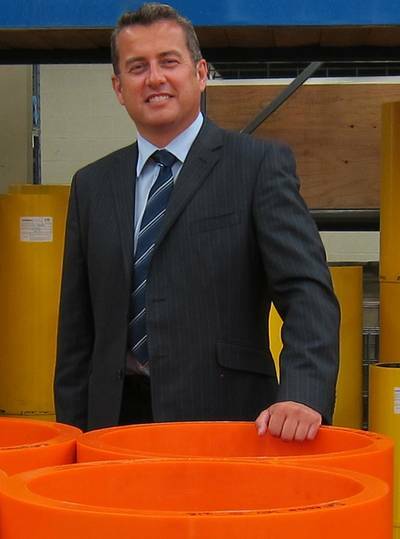 Sixteen –year veteran, George Morrison has been appointed the Area Sales Manager for Western Europe replacing retiring Campbell Cunningham. George is a Chartered Mechanical Engineer who began his career in 1994 as a design engineer working with UK-based companies such as Turboflex Ltd., SSS Gears and Bibby Transmissions. In 2002, he moved into commercial sales working with John Crane UK Ltd., and then on to Railko and Wartsila providing sales and commercial management of seals and bearings. George holds a B.Eng from the University of Glasgow and an MBA from Buckinghamshire Business School in the U.K. Thordon Bearings Inc. designs and manufactures a complete range of polymer bearing and shaftline products for the marine, clean power generation, pump, offshore and industrial markets. Thordon’s strong and recognizable global brand is known for high quality and superior performance, eliminating oil and grease from bearing applications in ships, hydro-turbines, vertical pumps and many other applications. Products are sold through an extensive factory trained distribution network that has been established in over 70 countries to service the international customer base.